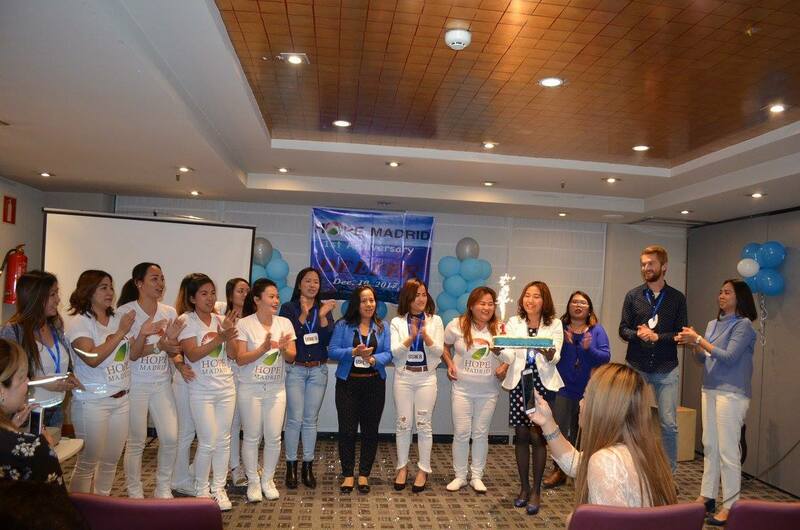 This week, we bring you Maricel Bautista's story of pioneering Hope Madrid. She is a Filipino sister living in Madrid, Spain. Hope Madrid was birthed from a simple desire in her heart to see a church plant with a strong vision from God and to see lives touched the way she was when she was in Hope Haugesund. Read her story. My name is Maricel and my journey with Hope started when I was an Au-Pair/Nanny in Haugesund, Norway where I met Pastor Steve's family and the Hope Haugesund family. I became close with them and with the church. Eventually, I became part of Hope Haugesund Church music ministry as a worship leader and one of the core team leaders. After my 2-year contract ended in Norway, I moved to Madrid, Spain. 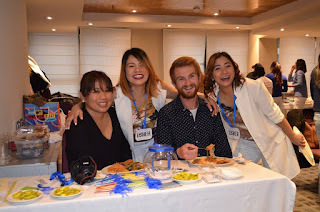 I found a new host family as an Au-Pair/Nanny and made new friends in Madrid. After I moved, I visited different churches because I was searching for a church like Hope. Then, I felt in my heart and in my spirit that I should not commit to any ministry in any church because God wants me to do something else. Pastor Precious Cases from Hope London West asked me if I would like to plant Hope Madrid. I replied her with a resounding YES because God had planted a desire in my heart to have Hope Madrid. We started the group with Bible Study and worshipped with worship songs from YouTube because I don't play the guitar. 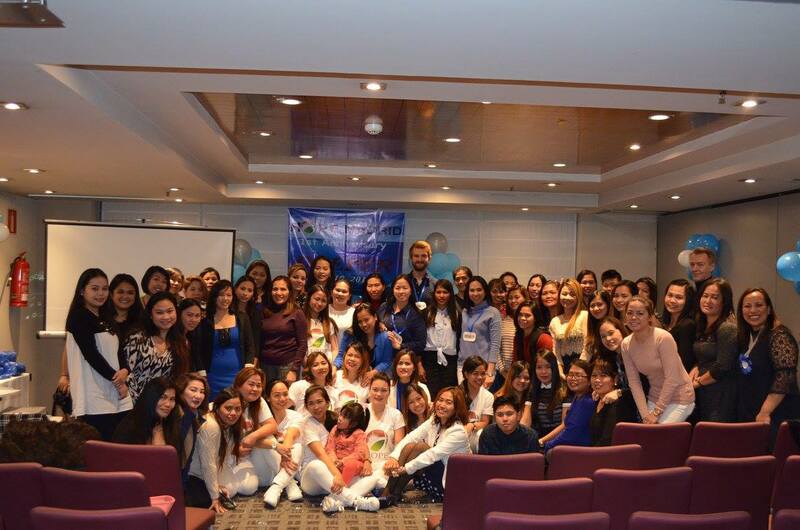 Pastor Precious, Sis Rowena Hernandez or Pastor Steve Mondala would visit us monthly. 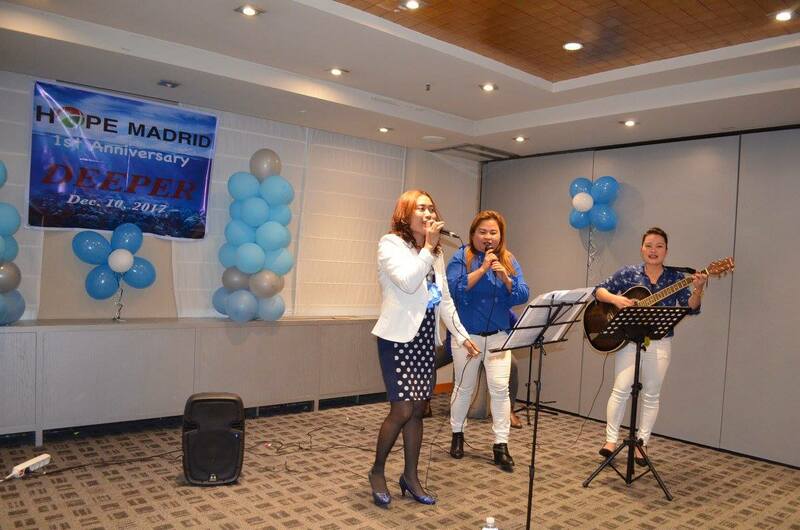 Then, God provided an unchurched believer friend whom I met in Madrid and this friend helped play guitar. I taught the Bible when the Pastors were not here. 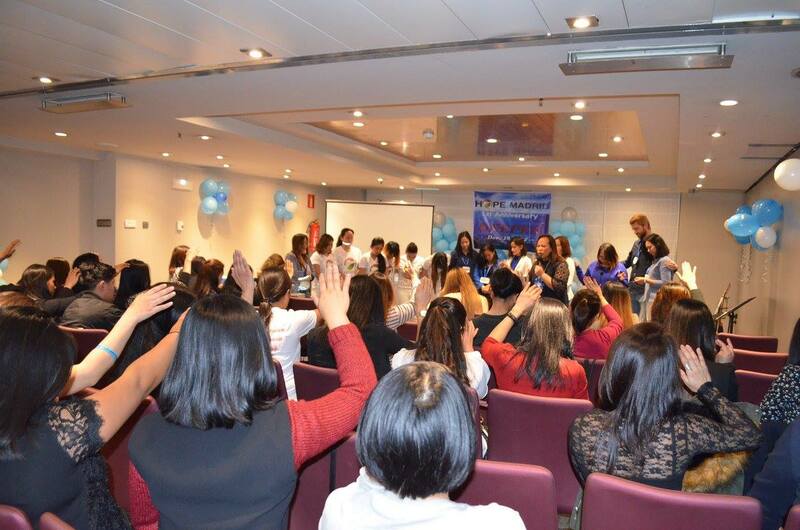 After 1 year, Sis Hazel Asares from Hope Haugesund moved to Madrid and helped me in the ministry as my assistant. 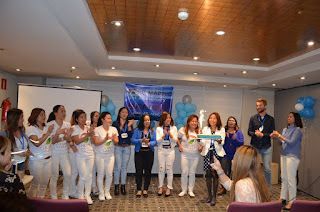 This was followed by Sis Shirlyn who is also from Hope Haugesund and she is now our guitarist. 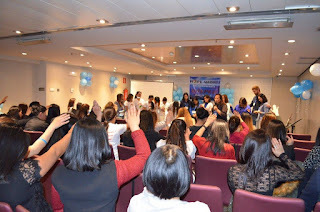 God never fails to provide people to help me in the ministry of Hope Madrid. 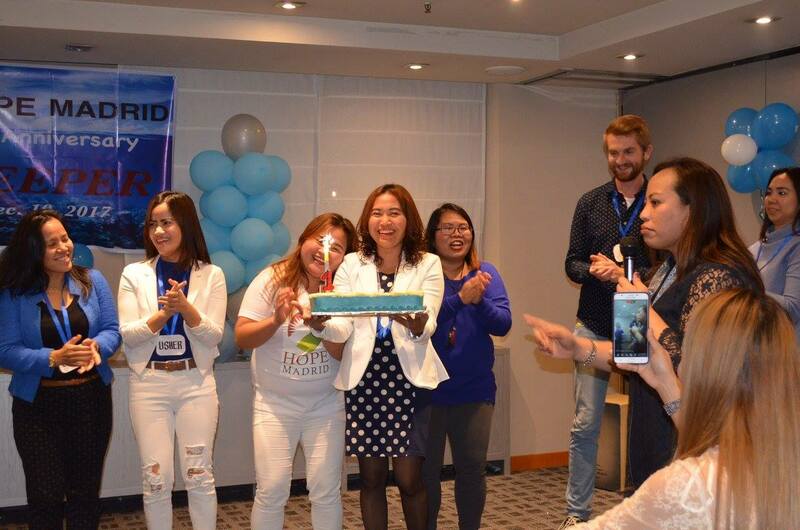 We celebrated Hope Madrid's 1st Anniversary on December 10, 2017. Now, we have weekly Sunday Service, Wednesday night prayer meeting and Saturday night worship/music practice. All glory be to God!